I've been fan of Angelo Mangiarotti's Eccentrico table for a long time, and I wanted to see if it would be possible to make a chair with the same concept (= using gravity joints). 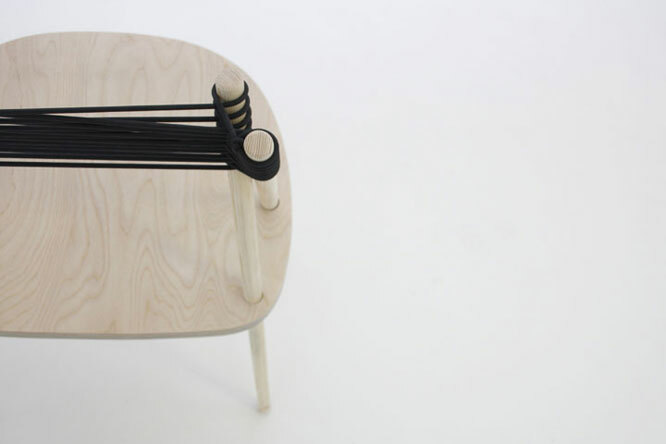 The whole construction of the chair is fixed using only two screws (lateral wooden bars to each-other on the heigth of the backrest), the plywood board that functions as a seat stays on its place thanks to the inclined holes on the board and the structure is tightened up with neoprene rope that forms the backrest. 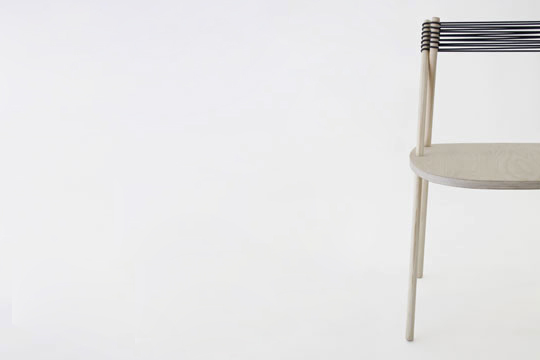 Formlanguage recalls old windsor chairs, being extremely reduced version of its "ancestors", hence the name 'Purist'. 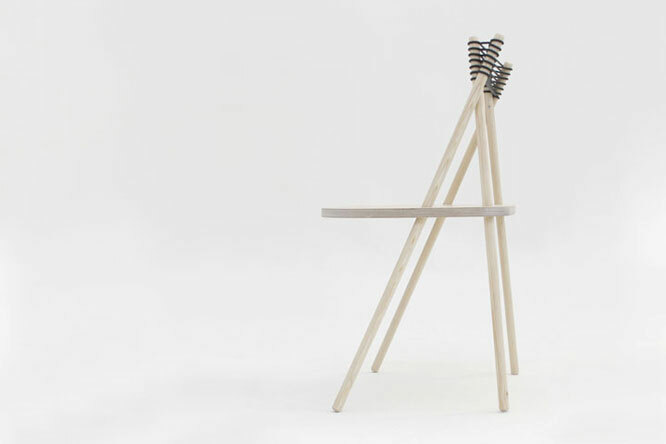 Project was presented during Milan Design Week, April 2012 and it won first prize in the 'Object' category at Interieur Design Awards, Biennale Interieur 2012, Kortrijk, Belgium.